A great place for resting your feet while watching television or simply relaxing in your favorite easy chair, an ottoman with built in sleeper also doubles as an extra bed when you have an overnight guest. Also known as convertible ottoman beds, ottomans with built in sleepers are manufactured in a number of different styles, materials and sizes. Each one provides a unique blend of style and comfort with functional versatility serving as a seat, a footrest and a bed. Whether you prefer the rich luxurious feel of leather, the soft smooth texture of microfiber or the durability and lower cost of bonded or split leather, there is sure to be a convertible ottoman bed that fits beautifully into your home decor. These multi functional furniture pieces are also a great choice for apartments or anywhere there is limited space. Converting a sleeper ottoman into a guest bed only takes a few simple steps. If your style of ottoman has a slipcover, simply remove the slipcover and unfold the metal frame of the bed. Most ottoman styles open to approximately 90 to 106 inches in length. However, junior ottoman beds measure from 75 to 85.5 inches in length. Depending on the manufacturer, when open the heights of the beds range from 13 to 29 inches with the mattress included. In the high end of the price range, the ottomans offered by Neiman Marcus are made of fine dark brown leather that is stain resistant. 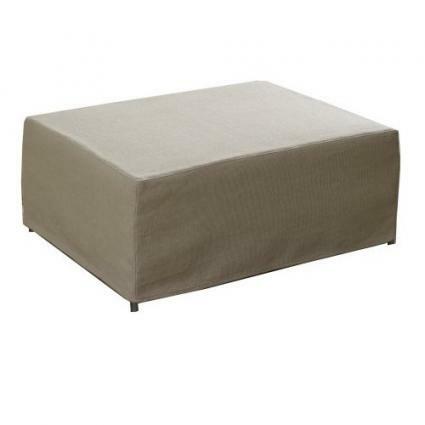 These ottomans are made with a solid maple frame and are available in single and twin sizes. Plow and Hearth offers sleeper bed ottomans. They also offer slipcovers and sheet sets. For many people, buying an ottoman with built in sleeper is the perfect furniture choice when additional sleeping arrangements are occasionally needed.